Microsoft’s SharePoint & SharePoint Online offerings combine various functions into an integrated platform for intranets, extranets, content management, document management, personal cloud, enterprise social networking, enterprise search, business intelligence, workflow management, web content management, and custom enterprise applications. The underlying technology for on-premise solutions, used to create many types of sites where you can collaborate on web pages, documents, lists, calendars, and data. For organizations needing richer functionality, organizations can deploy and manage on-premise or in a cloud server environment. A cloud-based service, hosted by Microsoft, for businesses of all sizes. Instead of installing and deploying on-premise, any business can subscribe to an Office 365 plan or to the standalone SharePoint Online service. 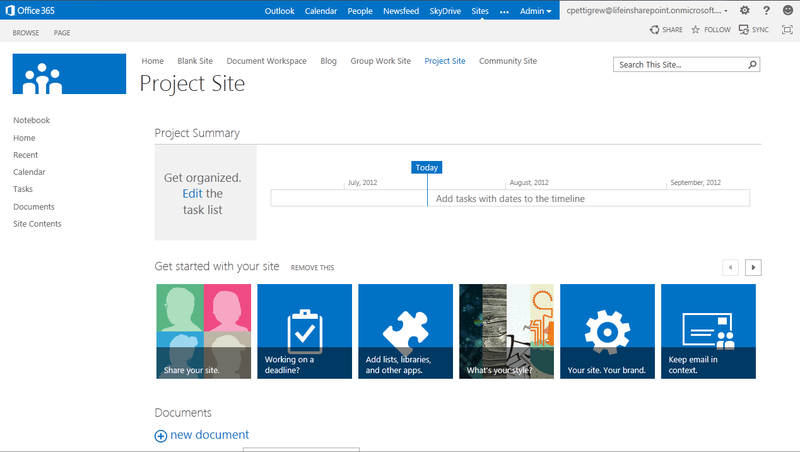 A free program used to design and customize SharePoint websites. Advanced users and developers alike can rapidly create solutions in response to business needs. A desktop program that you can use to sync an offline version of a team site, or a OneDrive for Business library to a folder on your computer. With more than 100 million monthly active users, Office 365 provides the most complete, intelligent and secure service for communications and collaboration. In 2017, usage of SharePoint has grown 90%, content stored has grown 300% and more than 10 million new SharePoint sites have been created. SharePoint is a comprehensive and highly featured technology platform, capable of being used to address a broad range of business needs. However it’s a somewhat complex product; one that requires focused expertise to achieve optimal solutions. Whitecap’s team of experienced and highly knowledgeable team of Solution Architects and Developers can help you to implement effectively and efficiently. Hear what our customers have to say about Whitecap. Process has been integral to our success as a company. Learn about our development approach.